Our kennel - Website of elevagemetfrasnaysflair! 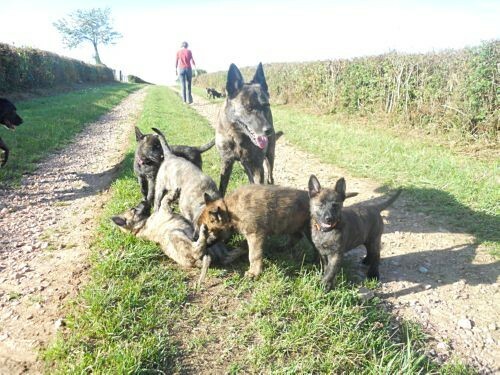 Our objective is threefold...our priority is to breed Dutch shepherds that are healthy, stable, sociable, willing to work like their parents. Both parents will be tested on good hips, elbows and their backs and stable behaviour. Breeding in accordance with the breed standards (appearance) is our second objective. Reducing the inbreed coefficient in the next generation is our third goal. All "Met Frasnay's flair" dogs are friendly family dogs that like working. Together with their owner, they participate in activities such as tracking, herding sheep/goats, dog dance, running besides the bicycle and hunt training! 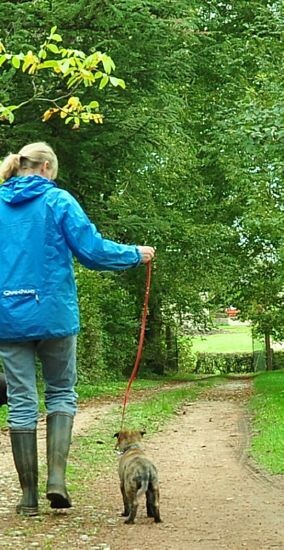 A number of dogs participates in dogshows and obtain results from Very Good to Best of Breed and Falco is French champion.. The puppies are born in our living room. The first 2 to 3 weeks they remain in their birthcrate. We weigh our puppies every day. It allows us to keep a close eye on their development. Another advantage is that the puppies quickly get used to the human odour. When they start walking and discovering the world, we enlarge their territory in our house. They can go outside into the puppy park. 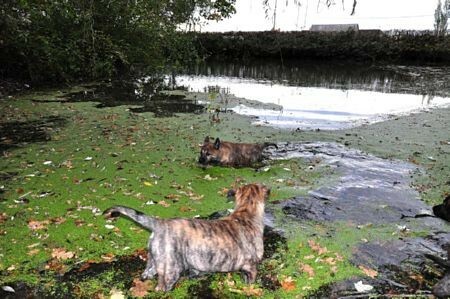 This is a safe environment where they can discover many new things. In the weeks that the puppies live with us, we make sure they get to meet many people (adults and children), our other dogs and other animals. 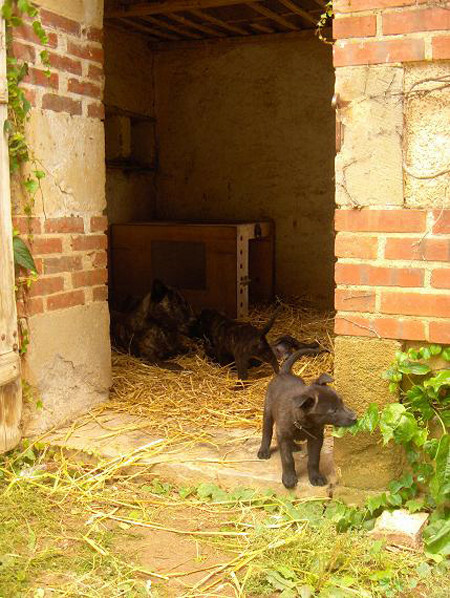 We also simulate certain situations in order for the puppies to get used to the "real world". 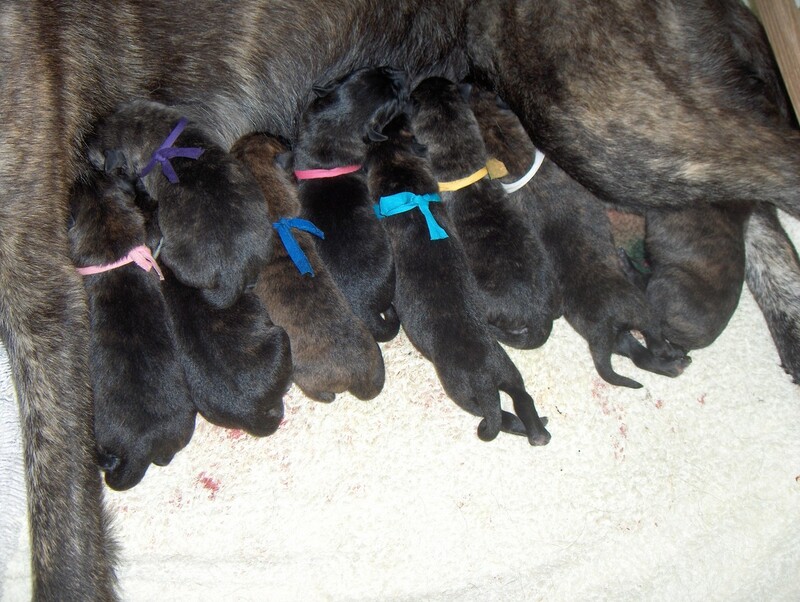 After 4 weeks, our puppies start eating solid food. Like their mother and our other dogs, they get fresh/raw meat in accordance with the BARF (Biologically Appropriate Raw Food) principle. 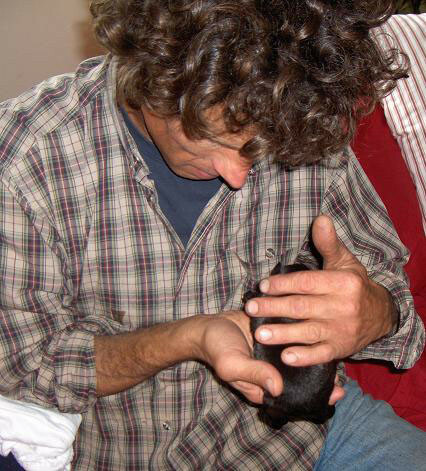 We carry out a puppy test when they are 6 weeks old. 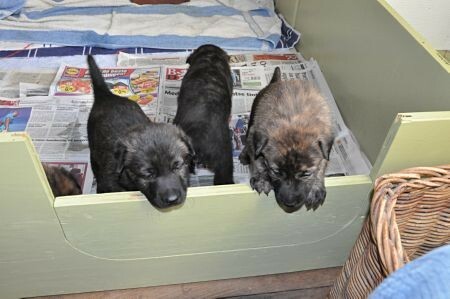 The puppies are then definitely allocated to their future owner, taking the situations and plans of this person as much as possible into account. When the puppies leave our house they are vaccinated, implanted with a chip and several times dewormed. They leave with a passport and their DNA-profile. We send you their birth certificate or (export) pedigree shortly after. 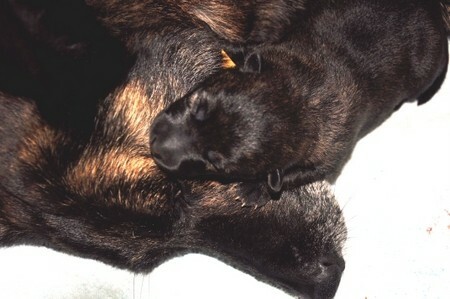 The DNA is stored in accordance with the breeding rules of the NHC [Dutch Shepherds Club]. We are member of the Dutch and French Club.